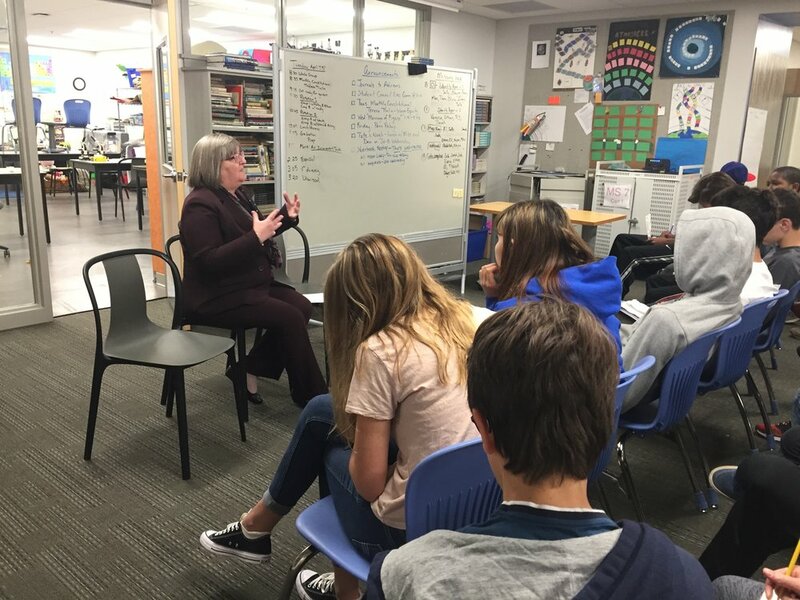 On Tuesday, Theresa Timlin, parent of TPS alumnus Joseph DiGiuseppe and federal Department of Labor administrative judge, was our Monthly Constitutional speaker. She engaged eighth graders in conversation about wage equity and labor law. When asked about her path to this career, she stressed that being a clear and effective writer was a critical piece of her preparation, a message that pleased the teachers in the audience. Older PostWe're in the Penn Relays!